St. Michael Catholic School parents and other regular user of the school and church websites will notice a big change this month. Beginning June 11, St. Michael Catholic Church and School will have a single new website at the church's web address, stmcatholicchurch.org. For the next several months, the old school web domain (stmcatholicschool.org) will redirect users to the new, unified site. Email addresses for school teachers and staff will remain at the old school domain for now (e.g., jdoe@stmcatholicschool.org). Visitors can use the School menu at the top of the screen to navigate more deeply into the school's portion of the site, or get the latest school news, upcoming events and other highlights in the righthand column as they scroll down the homepage. On mobile devices the columns "stack" so that all of the content is still easy to view and read even on a small screen. 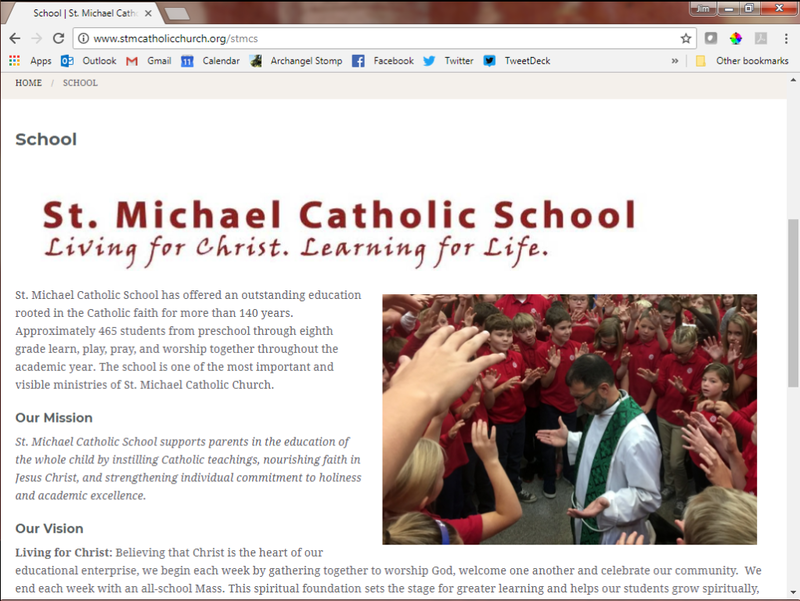 St. Michael chose to redesign its websites to simplify the overall structure of the sites and make them easier to view on smartphones and tablets. The decision to build a single site for both the church and the school was not taken lightly. 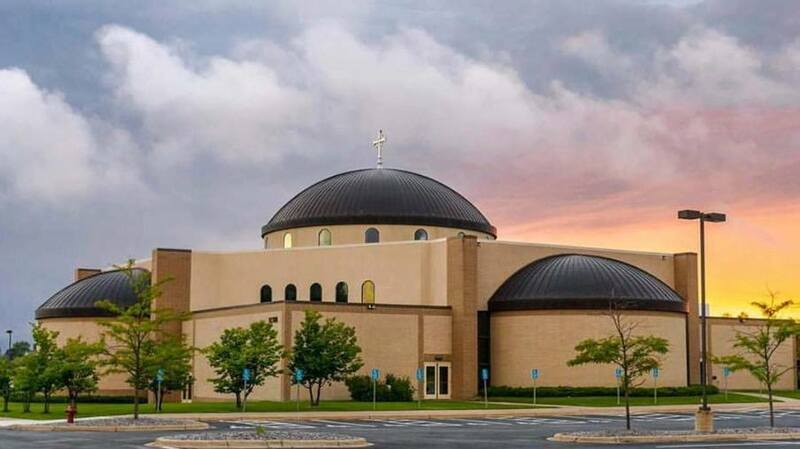 "We had several conversations about the pros and cons of maintaining two sites versus building a single site for the church and school," said Jennifer Haller, principal of St. Michael Catholic School. "Ultimately we wanted to convey the unity of our church and school despite our separate campuses." "Our Catholic school is an essential and growing ministry in our parish," Fr. Richards said. "A unified website is one way to remind all our families that Catholic education is everyone's mission."